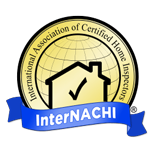 Home Inspections in Peachtree City, Fayetteville & Newnan, GA & Surrounding Areas! When it comes to investing your hard-earned money into a home, it’s better to be safe than sorry. A thorough home inspection can save you from a headache later on down the road. To ensure the home you’re considering is worth your investment, hire the experts at Pro Home Services. Our professionals offer home inspection services to homeowners and real estate agents in Peachtree City, GA, along with Newnan and Fayetteville. With 13 years of construction-related experience, you can depend on us to examine every feature of your home closely, including pool & spa inspections as well as testing for radon. We’re E&O- and liability-insured for your peace of mind. Contact us now to uncover any issues in your prospective home. After our inspection, we’ll walk you through the home and explain our findings. We’ll recommend what improvements and repairs should be done to enhance safety. We can also advise you on how much you should request from the seller to cover the cost. Call us today at 678-799-1513 for trusted guidance on one of your most significant purchases. Copyright © 2019 Pro Home Services, all rights reserved.